The relationship of Lennox Hill with TOTAL strengthens the former’s exposure to a key developing region. TOTAL Consulting has since 1991 successfully helped companies to developed and implement their Management policies and quality processes. 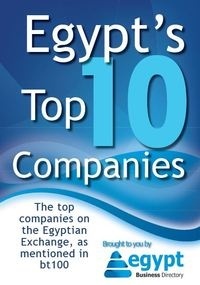 They utilise "Performance Improvement" and the "Process Approach" in each of the projects they work on and have done this across numerous business sectors in Egypt, the Middle East and North Africa. Mr Osama El-Meligy, Chairman of TOTAL Consulting says "the use of technology in implementing ISO standards is now essential. After an extensive search, we found that isoTracker is an excellent tool that efficiently handles all the ISO requirements in a straight forward and quick to learn fashion". "As an online software application the market for isoTracker is the entire globe, but customers like to have a local contact to explain to them the benefits of the product, to help with the implementation if required and to train them. TOTAL Consulting’s experience and knowledge in the region and in the field of quality management will be invaluable in helping isoTracker implant itself in the region" said Christopher Stainow, Chief Executive of Lennox Hill Ltd.